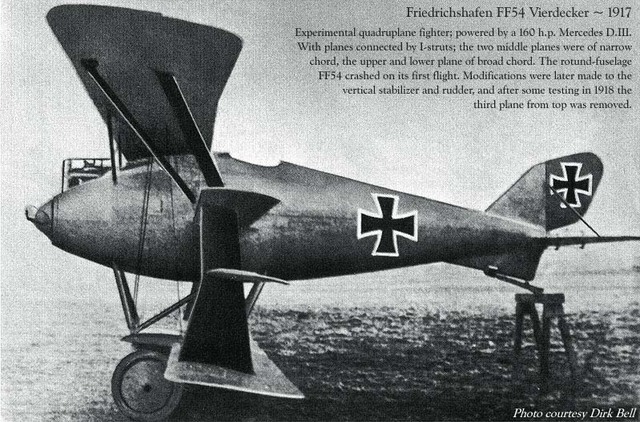 The most exotic flying machines built during the Great War, they never saw combat. Five year before the start of hostilities, from ca. 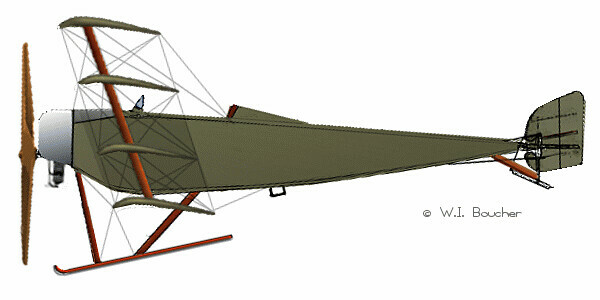 1909, the American inventor Matthew Sellers made a series of flights in the Sellers 1909 Quadruplane, progressively fitted with powerplants of decreasing power, in order to investigate low-powered flight. He eventually achieved flight on only 5 to 6 hp at a speed of 20 mph. Warplanes with four stacked wings were built for better stability and rapid ascension rate at moderate power. In Great Britain, Pemberton-Billing Ltd. (predecessor of the famous Supermarine) made two prototype Zeppelin killers, the Pemberton-Billing P.B.29E and Pemberton-Billing P.B.31E, respectively in 1915 and 1917. They were comparatively large, twin-engined fighters. After the company changed its name to Supermarine, the P.B.31E became known as the Supermarine Nighthawk. 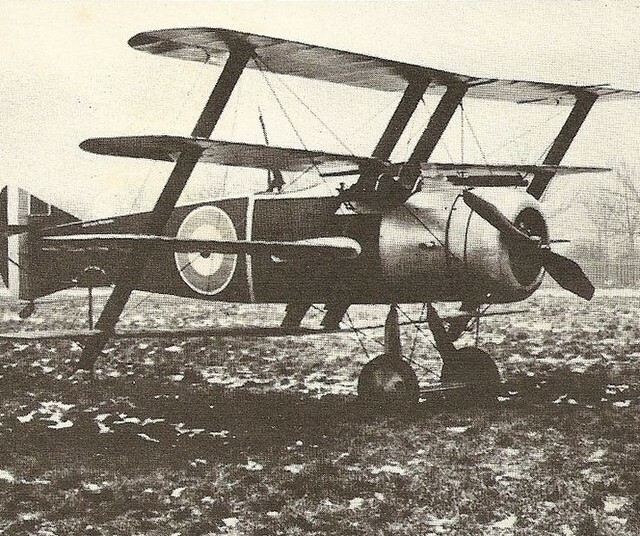 Following test flights with the prototype Armstrong Whitworth F.K.9 in 1916, eight Armstrong Whitworth F.K.10 quadruplane reconnaissance fighters were produced, designed by Frederick Koolhoven, but none saw combat action. 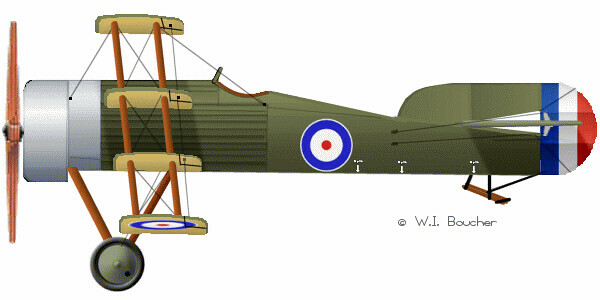 The F.K.10 showed inferior performance to the Sopwith 1½ Strutter, which was already in service as a successful two-seat fighter, and only five were built of the RFC order, with a further three built for the RNAS. 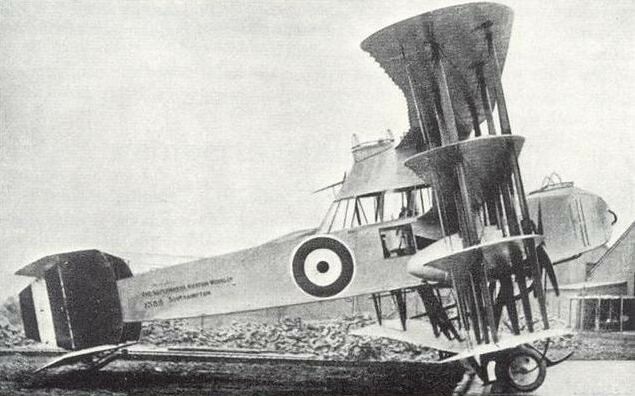 This was a quadruplane of most unusual layout, in which the fuselage filled the gap between the two middle wings, with the upper and lower main planes carried above and below it on struts. 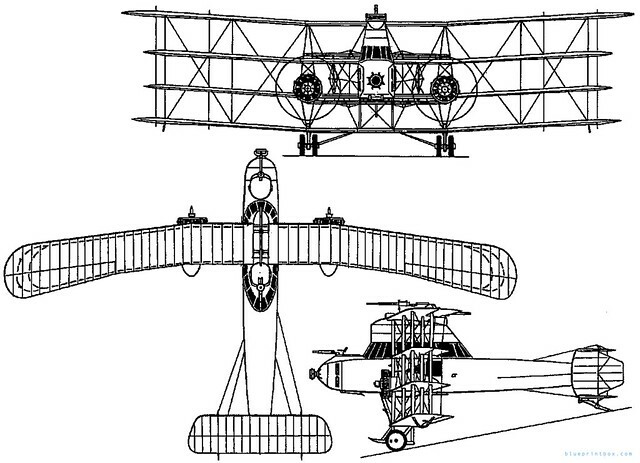 At first, single wide-chord struts were used for the cabane and for the single wing bays between the upper, mid-upper and mid-lower wings, all of which had ailerons. 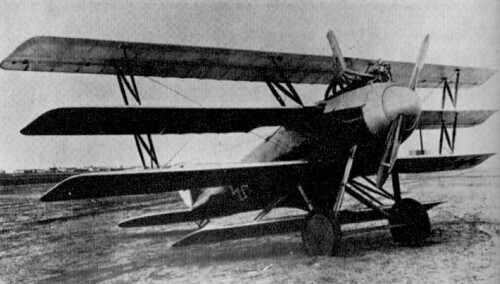 The bottom wing, of shorter span, was carried on pairs of struts under the fuselage, and from the mid lower wing. The main wheels were carried on single struts each side and were notched into the bottom wing, with which the axle was in line. Construction was of wood, with mixed fabric and plywood covering. (More detail in Mr. Boucher's blog). 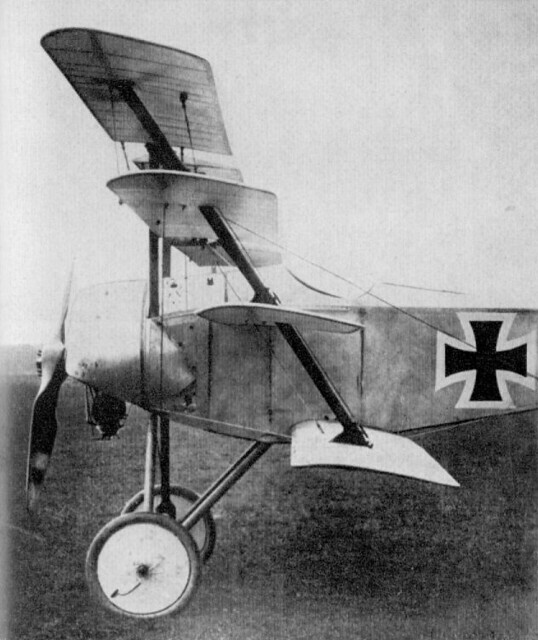 In Germany, the Euler Vierdecker of 1917 unusually featured a standard triplane arrangement of fixed wings with a fourth uppermost wing comprising left and right hand articulated surfaces which acted as full-span ailerons. Two examples were built, with different engines. In Russia, V.F.Saveljev and Vladislav Zalevskij built this experimental 2-seat reconnaisence aircraft. 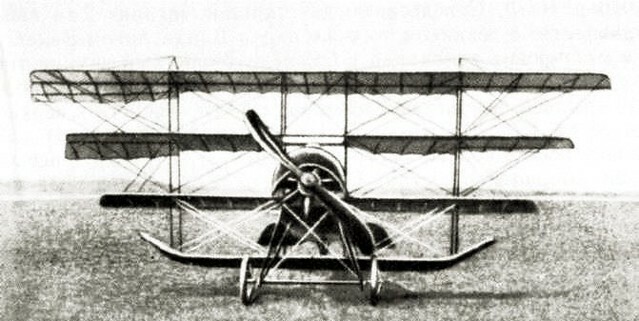 It used fuselage from the “Morane-G” and single strut Quadruplane wing box tilted forward. 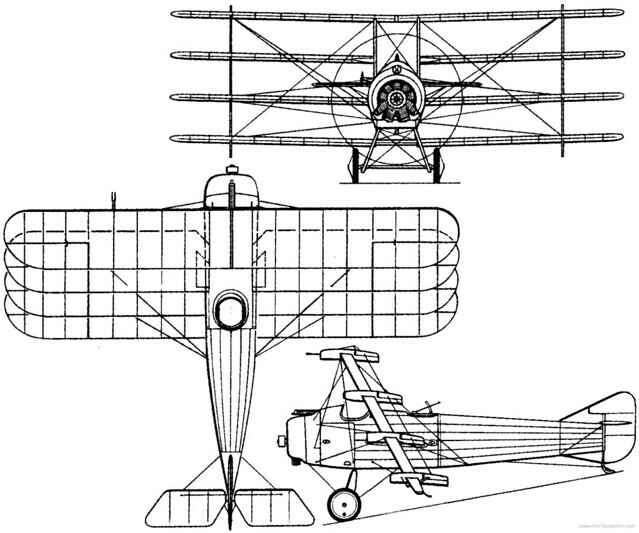 The Russian quadruplane was powered by an 80hp engine when it was flown on April 15, 1916. 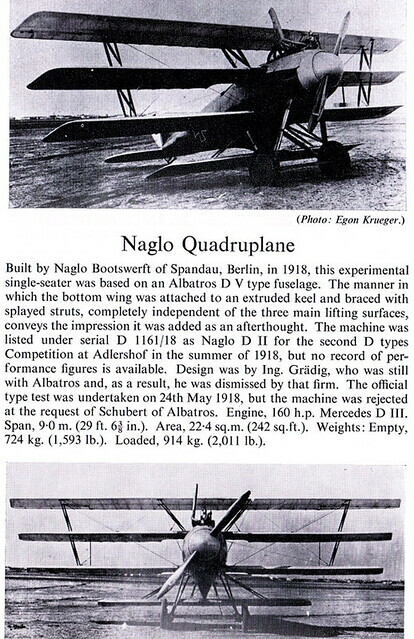 According to the test pilot Jungmeister, “The aircraft is very responsive and may compete with the 165hp Albatros, but it needs a 100hp Monosoupape engine.” Later this engine was fitted with minor modifications, and aircraft performed numerous flights. Too much parasitic drag and not enough support. The flying "Venetian blind" never got off the ground. with all my due respect to Mr. Caproni, "not very successful" is a sheer understatement. The design was a disaster and ended in a disaster. Perhaps you already know, but after the war up to 9 wings were used for a plane. Unfortunately, that design wasn't very successful. My pleasure, Dan. We owe a lot to Will, without whom... etc. Love ALL X-Planes. Excellent article! Thanks!